With a growing emphasis on using in-school instruction time to grow and sustain standardized test scores, the out-of-school (OST) time arena has become increasingly more important in balancing out our students’ education. Out-of-school time programming allows students to enhance standard in-school curricula with more expansive and varied experiences, and promote increased learning outside of the traditional classroom setting. In order to better serve their students around the country, YA affiliate staff members from across the network came together last month July 17-19 in Dallas, Texas for a series of seminars, site visits, and peer-to-peer breakout sessions based around the topic of increasing program capacity for out-of-school time learning, dubbed the YA Professional Learning Institute. The YA Professional Learning Institute, a three-day professional learning exchange, was supported by JCPenney Cares and the Starr Foundation and hosted by Young Audiences Arts for Learning and its Dallas, Texas affiliate, Big Thought. Over the course of the Institute, Young Audiences affiliate staff members and select community partners observed, discussed, and documented a wide range of out-of-school time program models designed to drive community participation and expand services to overlooked and underserved populations including military families. YA interviewed four YA Professional Learning Institute attendees who represent four different types of stakeholders necessary for successful OST programming implementation: Michael Kerry Williams, Executive Director of Young Audiences Arts for Learning Virginia; Lisa Leibering, Manager of School and Community Programs at Gateway to the Arts; Ebony Grace, Director of Expanded Learning Opportunities at the New Jersey School-Age Care Coalition; and Andrea Vinson, DoDEA Grant Coordinator for the Office of Children and Youth in Transition. Here is their take on why OST programming is important, and what they learned during the Institute. 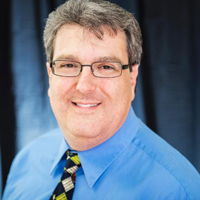 Michael Kerry Williams has served as the Executive director of Young Audiences of Virginia for the past three years, and served as the Artistic Director and Arts-In-Education Director for Young Audiences Arts For Learning Virginia for 15 years before that. Michael is a strong supporter of arts integration and has been pursuing excellence in the field for for over 20 years. He holds a Bachelor of Music in Performance and in Composition from Westminster Choir College at Princeton, with advanced studies, certificates and degrees from New York University, Julliard School of Music and Non Profit Management certification from TCC. 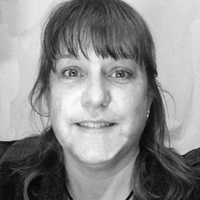 Lisa Leibering is a professional theatrical designer, puppeteer, and teaching artist, living in Pittsburgh, PA. She is the Manager of School and Community Programs for Gateway to the Arts, a Division of the Pittsburgh Cultural Trust. She holds a BFA in Puppetry/Children’s Theatre from West Virginia University, a MA in Theatre for Youth from the University of Wisconsin-Madison, and a MA in Theatre from the University of Pittsburgh. 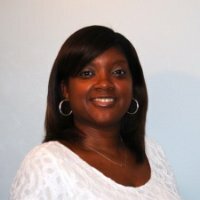 Prior to joining NJSACC, since 2004, Ebony Grace worked for the New Jersey Department of Education responsible for providing programmatic and budgetary oversight and technical assistance for 21st Century Community Learning Centers and Even Start Family Literacy program grants, helping to implement quality out-of-school time programs for New Jersey residents ages birth through adulthood. Ebony graduated with a Bachelor's of Arts degree in psychology from Temple University and a Master’s degree in Family Therapy from MCP Hahnemann/Drexel University. Andrea Vinson currently works as a grant coordinator for a DoDEA grant titled Operation Special Education Achievement in San Diego Unified School District. She serves to implement the grant strategies of art integration programs in grades 3-5 that will increase literacy in students designated with special needs in the military. She has a long standing career in special education which includes serving at school sites K-12 as a Central Office Resource Teacher. 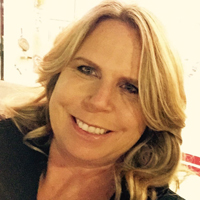 She develops and provides Professional Development for teachers in collaboration with district departments such as Special Education, Literacy, and VAPA. She currently works for the Department of Children and Youth in Transition, which supports Foster, Homeless and Military youth. 1. Why do you think that out-of-school time programming is important? Michael Kerry Williams: One of the most precious resources during a school day is time. Time to truly dig into subjects and explore activities is limited in an already stressed school day. Many communities and parents rely on after-school, evening, summer and weekend environments to occupy children in out-of-school settings, however, they risk wasting that time with inadequate activities and low-performing environments. With so many hours in the day dedicated to study, testing and learning, children need the opportunity to socialize, explore, express and be creative. It is in these out of school times that the whole child becomes educated. Parents find themselves working hard to make ends meet, so often family time is equally stressed for quality experiences. Making opportunities available for entire families is necessary for quality of life. Lisa Leibering: We think OST programming, when done well, plays a crucial role in providing a safe place for young people to engage their imaginations, explore new ideas, and build skills that can serve them for a lifetime. Ebony Grace: Out-of-school time programming is important in supporting the academic and social-emotional development and functioning of school-age youth. The time dedicated to the school-day cannot provide all areas of enrichment and the out-of-school time space is the perfect environment to provide additional enrichment activities. Andrea Vinson: Out of school time programming allows for enrichment opportunities for children and enhances their engagement in school based learning. Providing supplemental structured activities improves social emotional well-being among children, promotes community connectedness, and provides learning opportunities that may not be offered in a traditional instructional school day. Some testimonials state that the out of school time programming is what has kept children motivated to attend school regularly and given them a sense of purpose. 2. Do you have any specific out-of-school time programming memories from when you were younger? MKW: In elementary and middle school I participated in concert choir and art at the end of the school day. These were programs that did not have time to meet during school hours. It was in these after-school settings that I realized my love of music, lyrics, literacy, expression and emotions. I can tell you the song I associate with my first crush, the song connected to my first feeling of loneliness, and the music I hear when thinking of my first best friend. If not for the arts and this program, I would not be complete. LL: I grew up in a rural community, so we did not have school-based programs for out of school time, we had community-based ones. The experiences that most shaped me were through the 4-H program. I was not a farm kid, I was more into gardening and sewing. A key part of the program was doing visual presentations on the projects you undertook each year. This laid a strong foundation for me to have confidence speaking before groups as an adult. EG: Yes, I have many memories. As a child growing up in a busy city, my mother worked full-time and was not comfortable with allowing my younger sister and I to be home alone. Every summer, we participated in various programs such as day camps, gardening camps, math and STEM camps, etc. My sister and I were also involved in afterschool activities such as bands, music clubs, choir, church activities and more. They allowed us to take trips to different places, experience new activities and develop relationships with caring, supportive adults that I remember to this day. OST became so ingrained in me, that my first job was a summer counselor at a local Boys and Girls Club. AV: When I was younger, there were more opportunities for summer programs that were connected through the schools. There were summer school programs, low cost camps and enrichment opportunities. Many after school programs included music, theater and art. I did learn to play the clarinet in an after school program, which led to high interest in other music areas and an appreciation for the musical arts. 3. What was your biggest take-away from the Professional Learning Institute in Dallas? 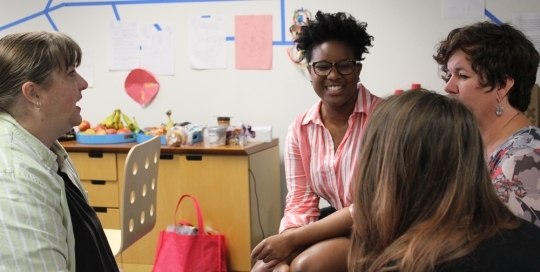 MKW: My biggest take-away from the Dallas Institute is the understanding that building OST opportunities for children of all ages requires full attention and support. The work to maintain and sustain these programs is challenging and demands multiple partners to build communication and oversee an outcome. The entire community needs to be open and clear on the dialogue, issues and complications for OST programs to exist. Platforms should be established to express those needs from communities. LL: The best part of the experience for me was the time I got to have with my community partner, not only in terms of our being able to have some deep, reflective conversations, but having a shared experience focused on OST programming that was not our own. EG: My biggest take-away was that Arts integration and OST are a natural match. With willing OST professionals to make the case for and implement youth activities, it is the perfect space to open the eyes of youth in many different Arts forms which can also be connected to many other areas of enrichment. AV: My biggest take away from the Professional Learning Institute in Dallas is that the passion exhibited by Young Audiences was apparent in their collaboration and work. The programs that were discussed and highlighted through the tours were extremely impressive and demonstrated the incredible impact in the children’s lives. The learning institute demonstrated the power of partnerships and the positive impact that can be achieved through school and community collaboration.